Welcome to our new weekly round-up of the best comments, flamewars and discussions on TechRadar's comments threads. Read on for what's been stoking your fires over the last seven days. Are Nexus One owners the new Apple fans? 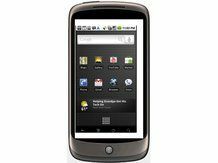 We ask only because we stirred up a bit of a hornet's nest with what we thought were fairly gentle suggestions about how Google might improve its Nexus One. raykinstl got right to the point: "Is this article for real?" he gasped. "It calls out the Nexus One, yet most of the issues mentioned are nowhere near specific to the phone… This is NOT a Nexus One issue but an Android issue." But surely you cannot disconnect the two, as the article author jbrandonbb joins in to mention. TechRadar regular nitrofan was especially upset with our characterisation of the iPhone as the 'Godphone' as if we were the first people in history to think of the Jesusphone moniker (instead of being pretty much the last). Tom65536 observed that, "this article is a response to the nasty criticisms [us readers] wrote on the review of the Nexus One, effectively justifying the poor review by focusing on everything that is wrong with it." Which is partly true. But poor review? It got 4 stars out of 5. D4lien ends up with the eternal plea of neutrals caught in fanboy crossfire: "Please stop yelling at everyone else that yours is better!" When it came to the HTC Legend vs the HTC Desire, our gentle opening gambit that, "The TechRadar office is currently divided between those that want the Legend, and those that crave the raw power of the Desire" drew the furious response from roggit: "then half your office is retarded. The Desire is better than the Legend in pretty much all ways. The Desire is just a better and more expensive version of the legend. Compare the specs if you don't believe me." So who was it that said, "trust us when we say that Technophiles are going to be all over this phone. Multi-touch, flash video, WVGA screen - it's the spec-enthusiast's dream". That would be ourselves, a few paragraphs later. It's time to move off the controversial subject of which phone is best, and into the gentler pastures of HDTV. In our article we suggested the reason Blu ray still hadn't taken off, was its lack of a killer app. matt2002 opened by saying that price not features needed to be the killer app. "Basic business - pile it high and sell it cheap," although to be fair, that is only one way of doing business. But he made the good point that Blu ray discs were still wildly overpriced: "the films are too expensive at £15-£20 each. You can go into a supermarket and buy a DVD for £2-£5! As for HD - I can watch film after film in HD - for £8 a month, why spend £20 on one film!" mrstillwater reckoned that you can get Blu ray discs for a lot lower than that, if you shop around, pinning the blame instead on the lingering effects of the format war. He finishes by saying, "Personally I love Blu-ray but it's been painful watching the studios trying to promote HD, and now they're confusing things further with 3D - talking about trying to run before you can walk." If that's what us early adopters think, the 3D industry has a mountain to climb with everyone else. We end with an interesting discussion about the pros and cons of platform exclusive games. If ever there was likely to be a flamewar surely it would be here, between legions of XBoxers and PS3ers up in arms over which was better at what. But Sony's suggestion that gaming was becoming platform agnostic was greeted with some concern. "It will never happen!" said caimbeul. "But what they should do is just collaborate on new hardware and go 50/50 for development and production costs. That's half the cost of creating a next gen console saved already." castaway666 pointed out the obvious flaw with that, saying, "there is no competition unless you include Nintendo, so if there's no competition why should they reduce the cost of a console? It's not as if you can say 'screw you Sony I'll go to Micro.... ah!' or vice-versa." Hiawa23 only bought the PS3 for its exclusives as, like many of the posters, he owned the Xbox 360 as well and preferred its online experience. "Multiplatform games are bought for my 360 especially if online is part of the game. I just like LIVE much better. That said, I do appreciate Blu ray and the power of the PS3, but it's not all about graphics." No platform exclusives. No new hardware. High development costs. Increased emphasis on online gaming and interfaces… Is anything about gaming going to be the same in future?